Lock in a great price for Acoustic Hotel & Spa – rated 9.2 by recent guests! Everything about the hotel was great. The staff was very helpful and friendly. They ensured our stay was comfortable. The hotel was neat and clean and very well maintained. Hospitality was at the optimum. Right from when we did the booking online and until we checked out, everything was well planned and organised. Special mention to the sales manager May..she was just fantastic. Very professional and helpful. They had personal touch in everything. Even my kids enjoyed their stay. They even took care of our dietary requirements. Will definitely go back and stay at the hotel and will also recommend to others!!!!! Fantastic breakfast, spacious rooms with cold A/C, rain shower with plenty of hot water, crisp white sheets and towels, extremely helpful and welcoming staff. Clean new hotel on a great street in Hanoi, a little outside of the night market and old quarter chaos. The staff was extremely helpful, and brought our bags to our next hotel for us while we explored the city for the day. Would highly recommend! Staff are so friendly & accommodating, easy to communicate and coordinating is easy and fast. Would recommend to friends to stay in this hotel. May Nguyen, their consultant is an excellent hotel asset. One of the best I have been to. Price is really reasonable for the quality provided. The staff is amazing, took our baggage from the taxi direct to the room, help with everything we need, and gave us advice about Hanoi. The room was lovely- we got free upgrade and the view was more then amazing, in the room Thur fruits and water, the room look very good and clean. Also the breakfast was full of good food. Also the price was good and cheaper then most of the 4 stars in Hanoi. After check out , we back to take our baggage (6pm) and they gave us a room to do a shower before we continue to sapa. Great price, new, and I had an upper floor view of the city. The staff spoke English, was very helpful and arranged taxis. They can also arrange day trips. Good wifi! Evrything was exceptional. This is a great boutique hotel and high end for the price which is very reasonable and fair. The staff were all excellent and attentive to anything we wanted and asked. By far this was also one of the best locations. It was quiet and away from the smog but located right in the corner of the 3 zones (old quarter, new quarter and givt quarter) so we could easily make our way anywhere by foot. The other benifit worth mentioning is that they have very strong personal connections with the various tours so your going to be going with the same quality people who run the hotel. They aren't just booking tours for a fee. They are working with those they have real relationships with. Hotel has very good location and u can walk easily into old quarters. Staff was super nice. Acoustic Hotel & Spa This rating is a reflection of how the property compares to the industry standard when it comes to price, facilities and services available. It's based on a self-evaluation by the property. Use this rating to help choose your stay! One of our top picks in Hanoi.Featuring free bikes and free WiFi, Acoustic Hotel & Spa is located in Hanoi, a 13-minute walk from St. Joseph Cathedral and 0.7 miles from Trang Tien Plaza. Each room at the 4-star hotel has garden views, and guests can enjoy access to a terrace. Hoan Kiem Lake is a 16-minute walk from the hotel. The rooms at the hotel are equipped with a seating area, a flat-screen TV with satellite channels and a private bathroom with free toiletries and a shower. Rooms come with an electric tea pot, while some have a balcony. All rooms at Acoustic Hotel & Spa have air conditioning and a desk. A continental breakfast is available each morning at the property. There's an in-house restaurant, which serves a variety of Local dishes. Other services and facilities offered at the accommodation include a business center, newspapers and a fax machine and photocopier. The reception can provide advice on the area in order to help guests plan their day. Vietnam Fine Arts Museum is 0.9 miles from Acoustic Hotel & Spa. The nearest airport is Noi Bai International Airport, 16 miles from the property. When would you like to stay at Acoustic Hotel & Spa? This family room has a balcony, sofa and electric kettle. This family room features a balcony, seating area and dining area. 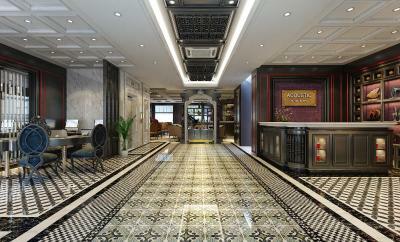 House Rules Acoustic Hotel & Spa takes special requests – add in the next step! Acoustic Hotel &amp; Spa accepts these cards and reserves the right to temporarily hold an amount prior to arrival. Acoustic Hotel & Spa accepts these cards and reserves the right to temporarily hold an amount prior to arrival. From the moment you step through the front door you'll be treated like royalty. The staff are so courteous and checkin was very efficient. Good English was spoken by everyone up to the manager. It's immediately apparent that everyone takes great pride in their hotel. Did I mention the breakfast was great? Very near the famous places of Hanoi so it's convenient to travel around. The room was clean and I feel comfortable there. Staff were excellent. So friendly and helpful. May recommended the "Escape Sail" one day trip to Lan Ha Bay, the tour was great and value for money. Jimmy, the Manager, and all his staff were friendly and well trained. We would stay here again and I love the interior design of the hotel. Small balcony with view of housing next to gas generator. Hotel is beautifully decorated. Bed was very comfortable. Staff were great, very helpful! One group came at midnight, they thought that was their house and talked very loudly. Room so clean and 100% look alike in website. Staff friendly and helpful.